The IUCr-UNESCO OpenLab is a network of operational crystallographic laboratories based in different countries worldwide, many in less endowed regions of Africa, South and Central America and South Asia. This initiative is aimed at allowing access to crystallographic knowledge and technology in all parts of the world, key for the fruitful development of science, and to open possibilities for conducting high-level research. OpenLab is a joint initiative of the International Union of Crystallography and UNESCO, started as one of the main actions for the International Year of Crystallography 2014. Activities are normally conducted in partnership with major equipment manufacturers as well as with other institutions. in less privileged countries, the idea is to start some crystallographic activity. An OpenLab normally combines crystallography lectures and hands-on tutorials with some science policy activities. Involvement of local Universities and institutions, and of the local scientific community is fundamental to guarantee a follow-up to the initiative and make it sustainable. New installations of crystallographic instrumentation. Such instrumentation will allow the birth of new crystallographic research centres and will act as hubs hosting students and researchers from hosting and neighbouring countries. These OpenLabs are based in research centers where crystallographic instrumentation is already operational. These laboratories will host workshops, tutorials and hands-on experiments for students and young professors coming from the host and nearby countries. A portable instrument will move through different locations in a country and at each stop it will serve as the basis for a crystallographic school, including tutorials about the use of the instrument and related software. A Travelling Lab has been implemented in Morocco in 2014. Workshops are held in the factories of the diffractometer manufacturer companies. These workshops are open to students and young professors who already have some background in crystallography. They will also be focused on technical aspects and maintenance of crystallographic instrumentation. The STOE-Dectris-Xenocs OpenFactory has been implemented in 2014. This map (current as of 16 March 2018) shows the OpenLabs held so far or planned, and some main events for IYCr2014. It is subject to change as new locations may be confirmed. Please check frequently for the latest version. The IUCr already has considerable experience in the development of programmes and activities for dissemination of crystallography in the developing regions. The OpenLab project has been influenced by the IUCr Crystallography in Africa initiative, which was approved in 1999 by the IUCr Executive Committee following a proposal of Jan Boeyens from South Africa. This initiative is aimed at providing training in crystallography teaching and research methods to faculty members and students from the most disadvantaged parts of the world. Since its launch, the IUCr has organized a number of courses, initially in English-speaking African countries in collaboration with the South African Crystallographic Association. 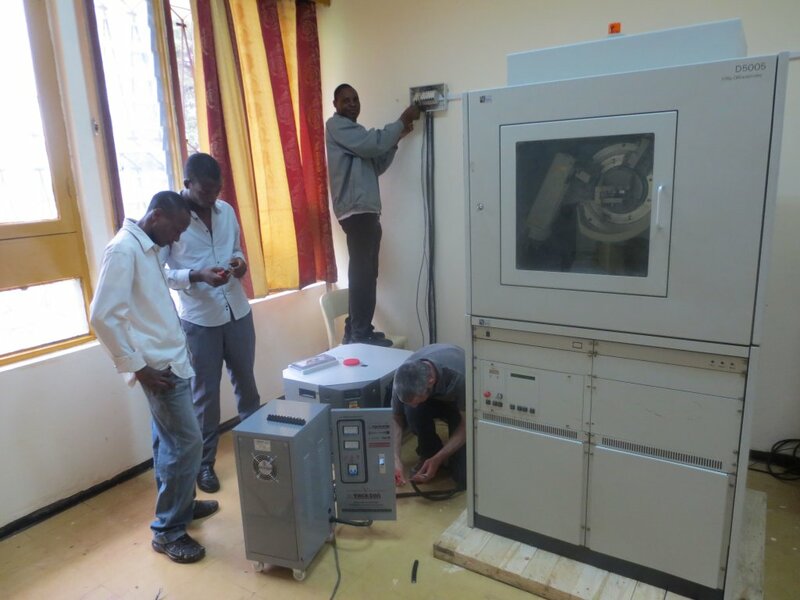 More recently, the IUCr Crystallography in Africa initiative has developed rapidly with activities in several countries, such as Congo, Cameroon, Senegal and Ivory Coast. These activities have been implemented in collaboration with a diffractometer manufacturer company, namely Bruker, and new operational laboratories have been installed with instrumentation supplied by the company. The IUCr has covered transportation expenses and the recipient university the maintenance expenses.